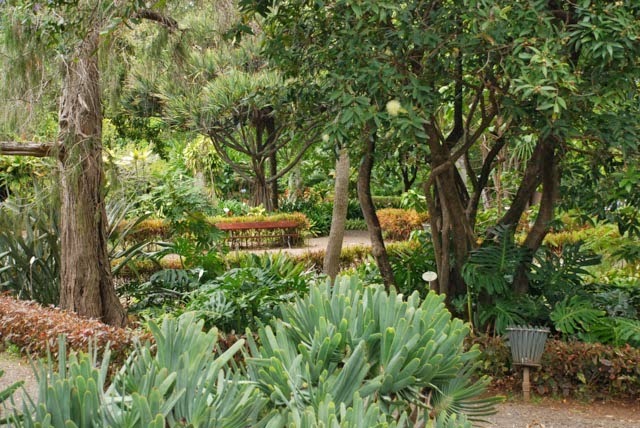 There are several fascinating gardens in Tenerife. One of the most exciting, enchanting and beautiful to visit is the Orotava Acclimatization Gardens on the edge of Puerto de la Cruz. 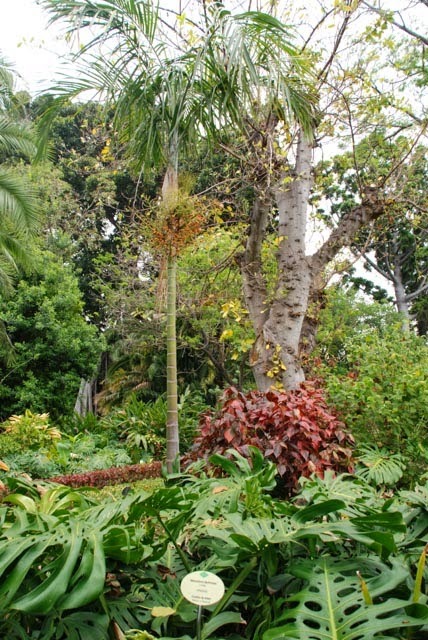 It was established as a result of the enthusiasm for plants and drive of the Marquis of Villanueva del Prado for species from tropical America in the late 18th and 19th centuries. It reached its heyday in the 19th Century when looked after by the great botanist Hermann Wildpret, after whom the magnificent Echium wildpretii was named. 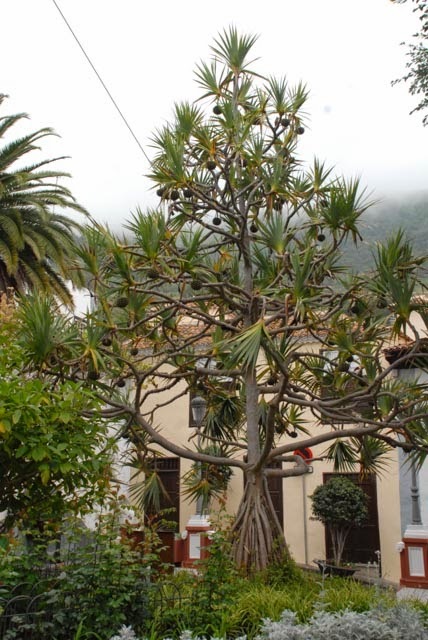 He was also honoured with the name Sonchus wildpretii, a particularly rare endemic species from La Gomera. Although the 19th century is reckoned to have been the zenith of the gardens, they are nonetheless a most important, and impressive place to visit today. 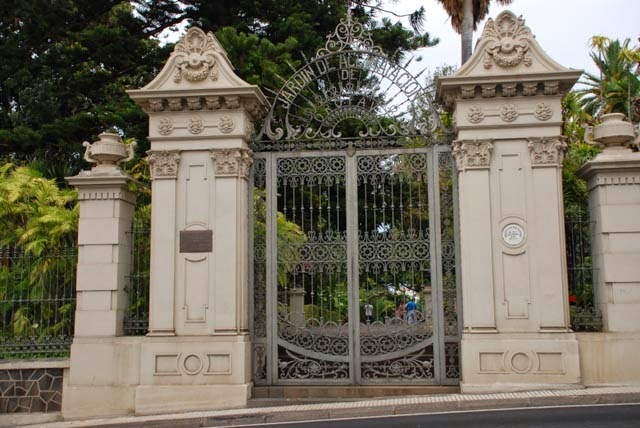 The gardens are set in Orotava, which is a suburb of Puerto de la Cruz, the second most major town in Tenerife. 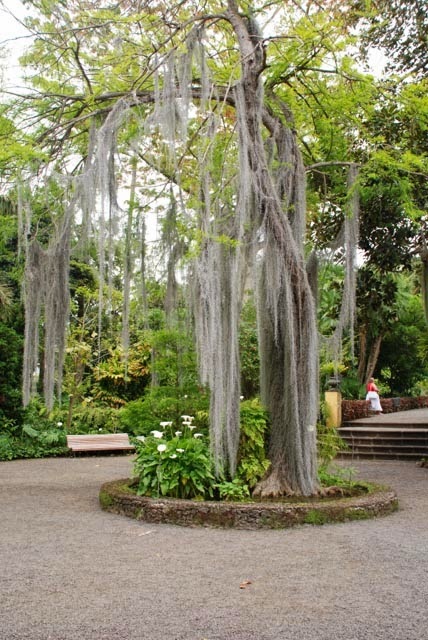 An impressive gateway leads the visitor into the gardens, and immediately they must be impressed by a mature tree liberally festooned with Spanish Moss, Tillandsia usneoides. 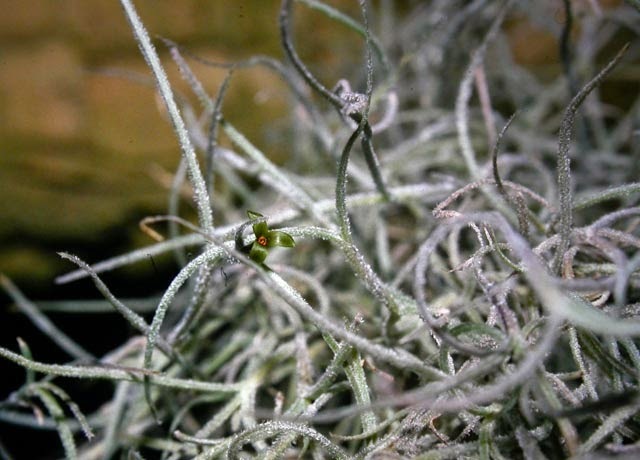 This is not a moss or a lichen, in spite of its close resemblance to lichens of the genus Usnea. 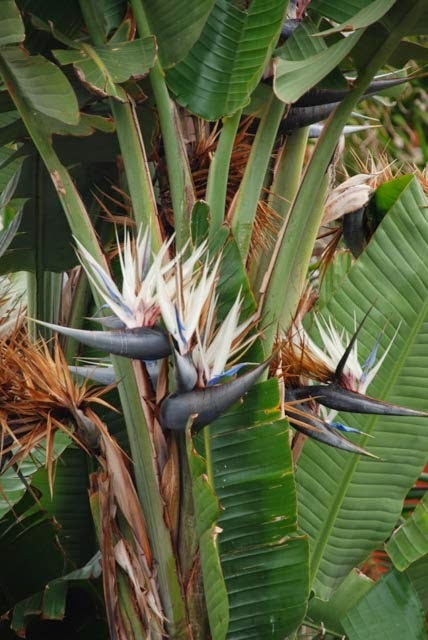 It is in fact a bromeliad and occasionally will develop tiny green flowers. 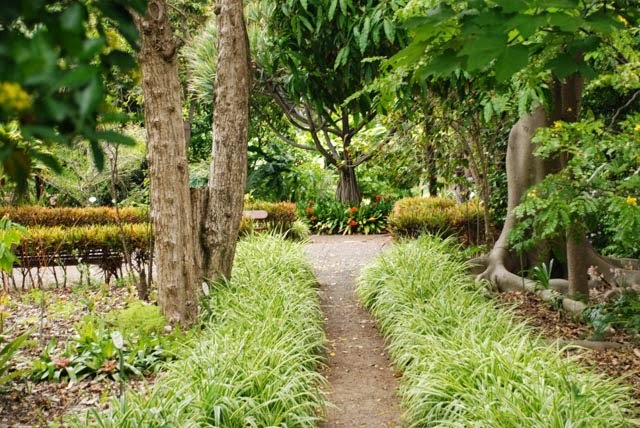 Beyond the Tillandsia usneoides, a series of paths passing through gardens shaded by magnificent trees beckons. 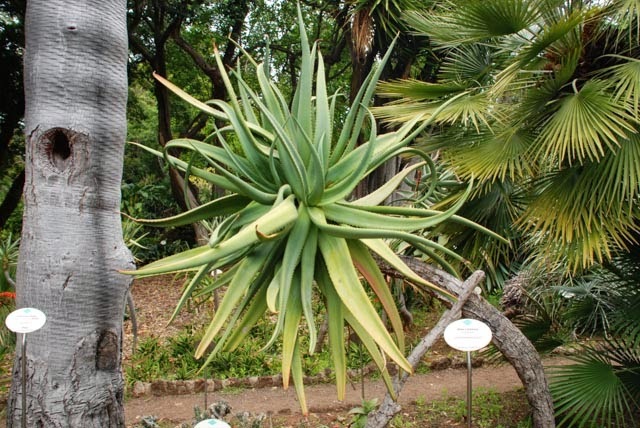 The plants in the gardens are well labelled, and range from Canarian endemic species, to New World plants that have survived since the time the gardens were first established. 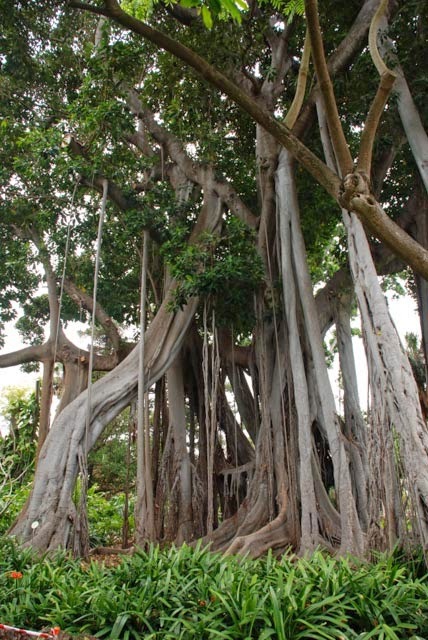 A truly impressive specimen tree that cannot possibly be missed is a fine Banyan Tree. This tree is a member of the fig family. Flitting around this, and around many of the trees in the garden, may be seen examples of the several endemic birds that inhabit the Canary Islands. Close to the larger of the two ponds, a particular canary made fairly frequent visits while we were there, to a wall top, enabling some useful photos to be taken. 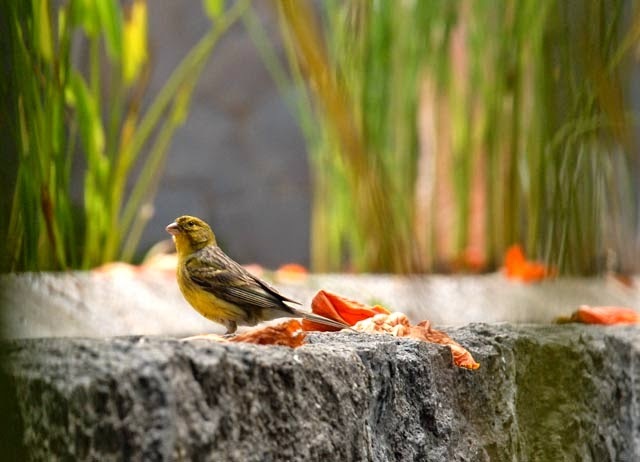 The canary is a species of finch which, as a wild bird, is endemic to the Canary Islands and Madeira. The Canarian Chiffchaff, the Tenerife Kinglet and Afrocanarian Bluetit are special bird species which may also be seen. 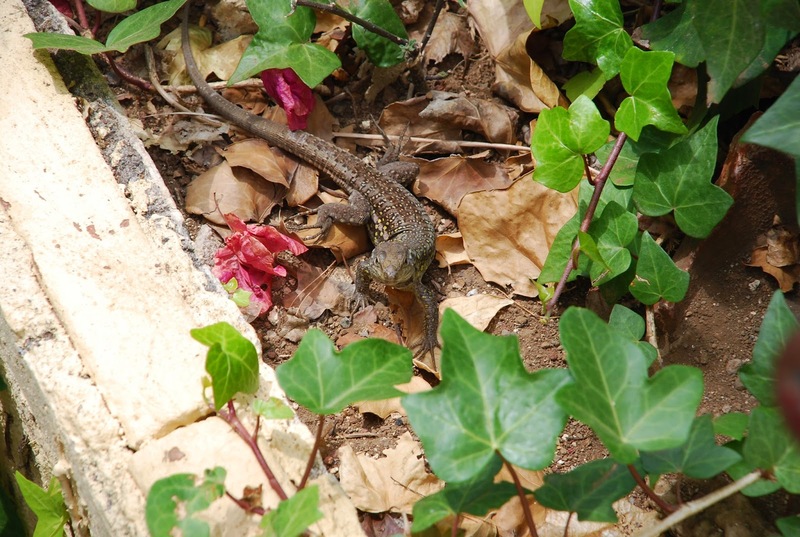 On the ground, the endemic Canarian Lizard may be seen scuttling to and fro. The males are especially impressive often being puffed up, and having a considerable amount of blue decoration. 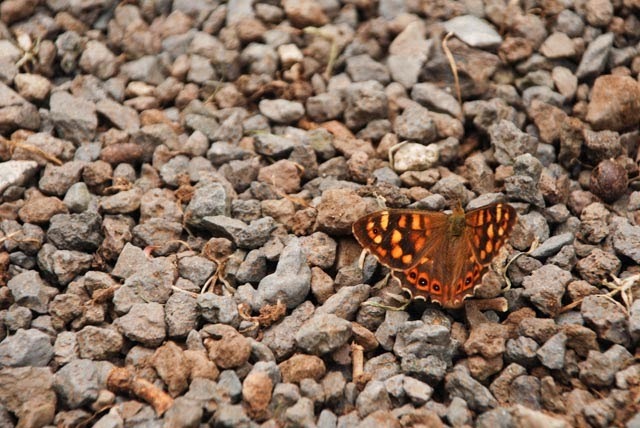 The endemic Canary Speckled Wood is also easy to see as it flits around the gardens. It was a little disappointing that a pond which used to support a fine collection of Lotuses…(the “Water lily” rather than the bird’sfoot trefoil) had been dredged. 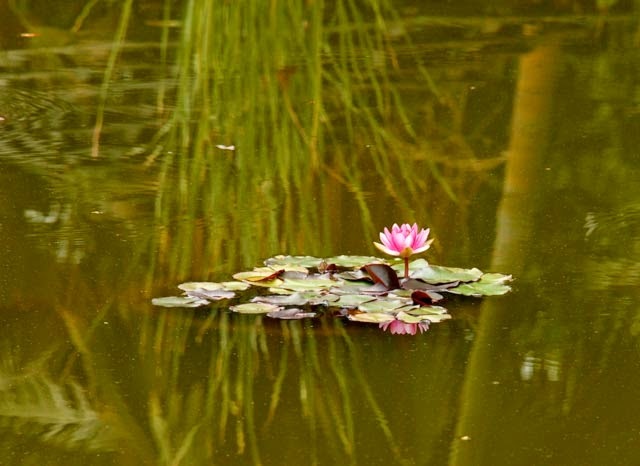 During our most recent visit, a single pink flowered lotus graced the centre of the largest pond, with a terrapin lounging in the sunshine on a nearby leaf. 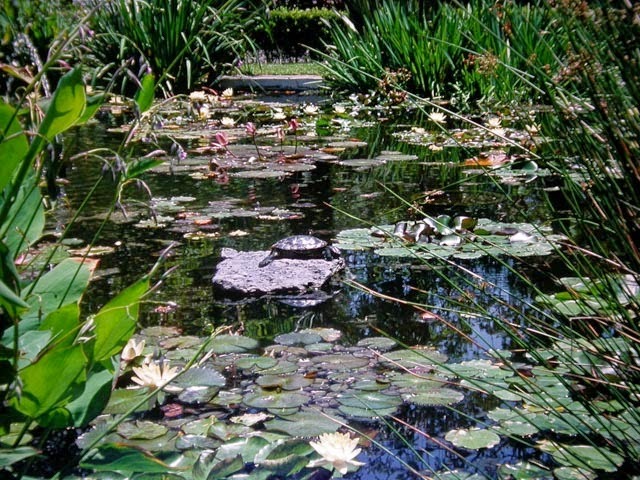 The pond full of lotuses before it was dredged, also attracted a good range of attractive dragonflies. 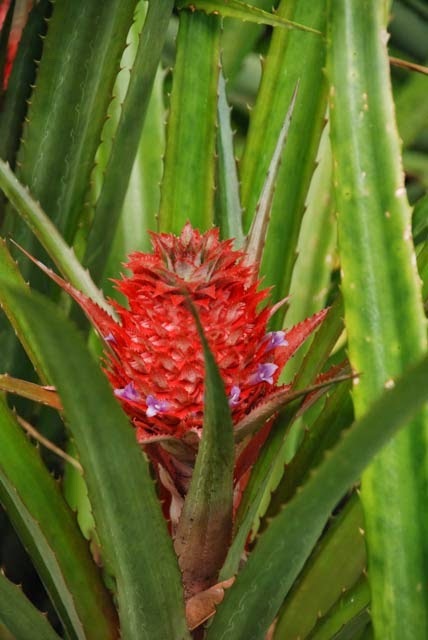 The gardens contain all manner of attractive plant species, and while we were there, we enjoyed seeing a pineapple in full flower, amongst other things. 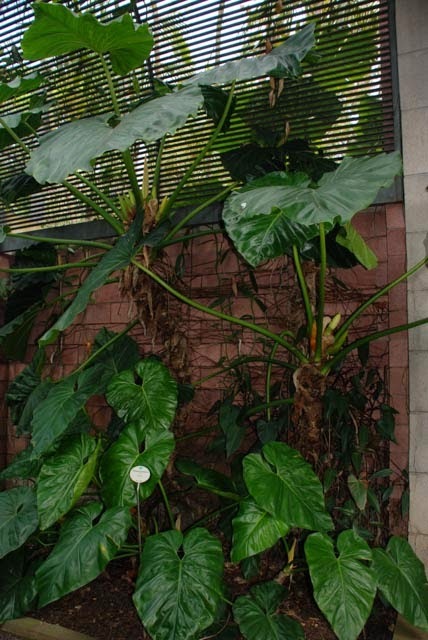 Several cheese-plant species may be seen climbing up walls and trees and form a particular collection in the covered walkway near the main entrance. These are often graced with their white flowers. 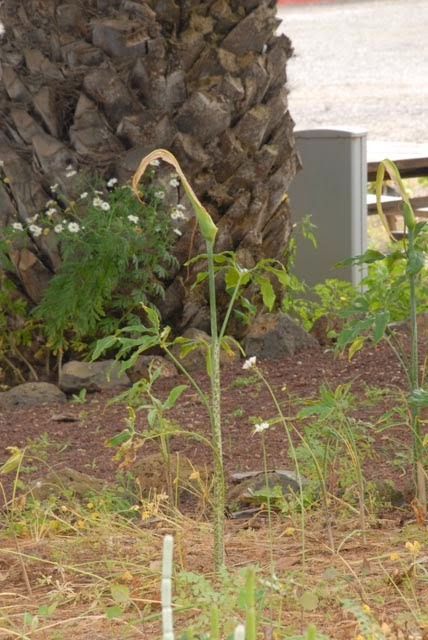 Two important Canary Islands endemics grow in the gardens. The first of these is another species of giant viper’s bugloss, Echium simplex. As a wild species, this is rare in Tenerife, and I have seen it on steep slopes near Chinamada. 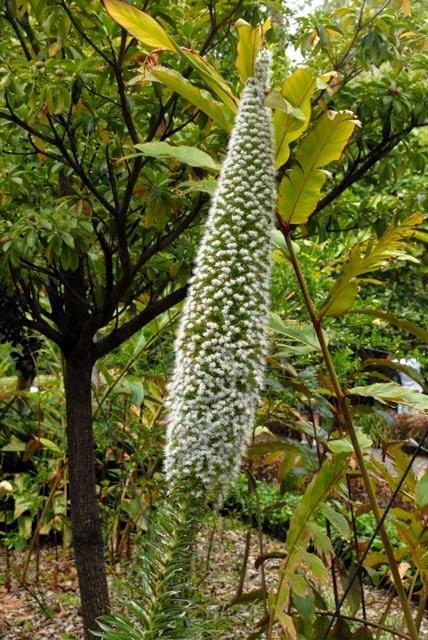 It is not quite as tall as Echium wildpretii, and has white flowers. Recently, it seems to be grown more frequently in gardens, and notably in company with the giant dragon tree at Icod. As a lichenologist, I carry a sheath knife for collecting specimens. 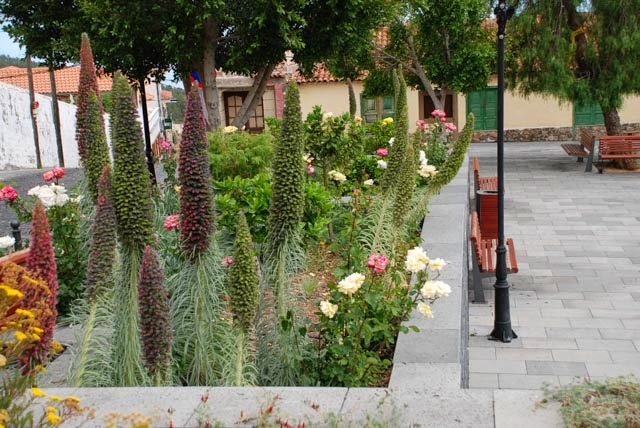 Having seen and photographed Echium simplex at Chinamada, I was stopped, and all but arrested by the Guardia Civil in the Tenerife North Airport while attempting to make my way to Gran Canaria. The film with the Echium photos must have slipped out of my pocket, because I never saw it again. 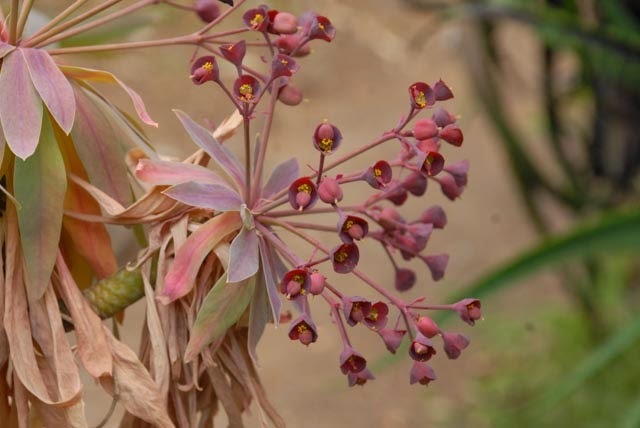 The second is Euphorbia atropurpurea. With its purplish flowers, it is more dramatic than many of the other endemic spurges. 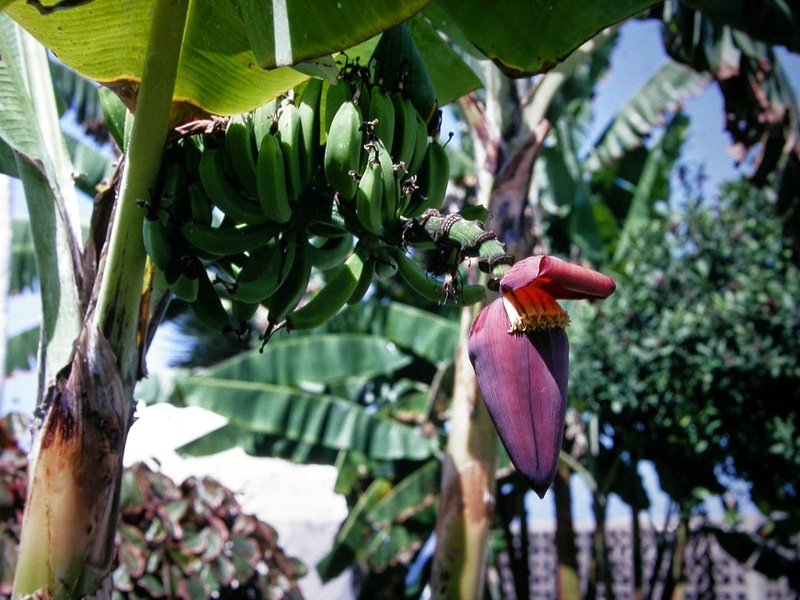 Not far away from the Acclimitisation Gardens is an establishment called Bananeria which has also been worth a visit. Here a range of bananas are grown including some non fruit bearing species of Musa. The visitor can also enjoy, and buy liqueurs made from bananas. On this latest visit we were not able to visit and fear that it may have suffered in recent economic conditions. 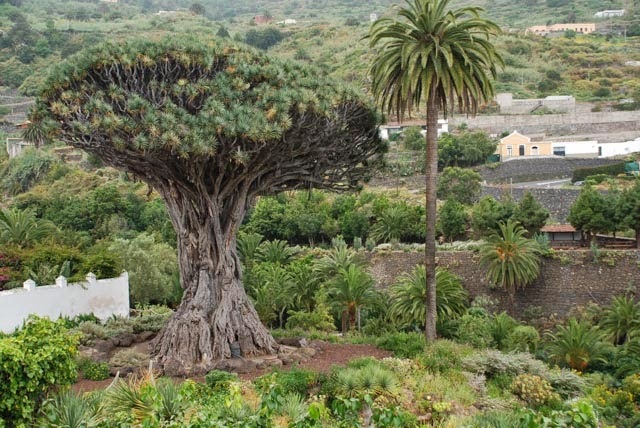 Another most exciting visit should be made to Icod de los Vinos, where the largest and currently oldest example of the Dragon Tree, Dracaena draco stands. It is known as El Drago Milanerio, the thousand year old dragon, however estimates of its age put it at around three hundred years and perhaps just a little more. Being a member of the monocotyledons, it does not increase in size by putting on annual rings of growth, so assessing its age is difficult. However, it is unlikely that it really is a thousand years old. To visit the tree closely is an expensive exercise, however close to a church that stands above the tree, fine views may be had of it from above. 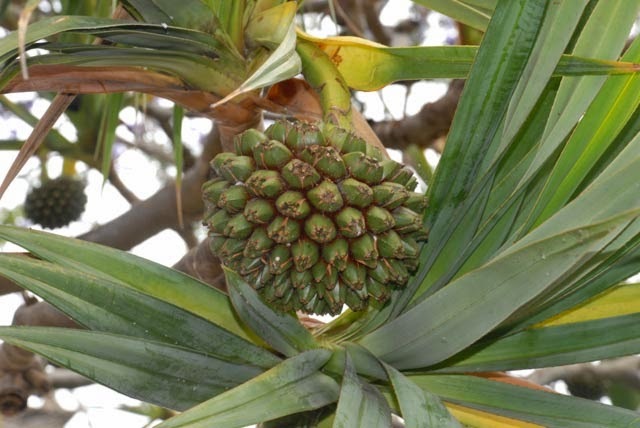 Of some interest is the presence of mature screwpines, Pandanus utilis some of which produce fruits. Like the dragon tree, it is not a pine, but a monocotyledonous tree. 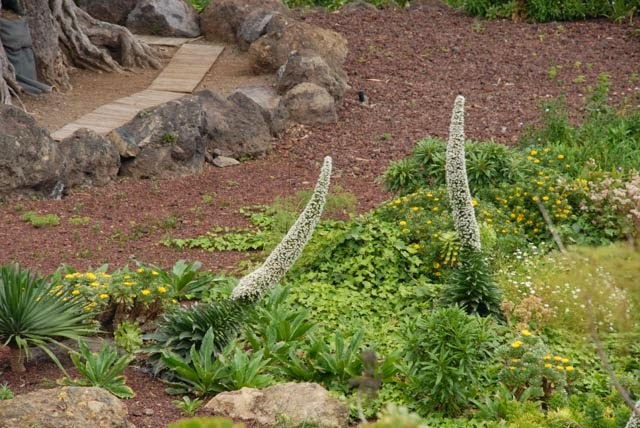 Another most important garden which is doing a wonderful job keeping Canarian endemic plants in cultivation is La Tahonilla Environmental Centre situated just outside La Laguna. Although not generally open to the public, we were given a warm welcome when we visit it. 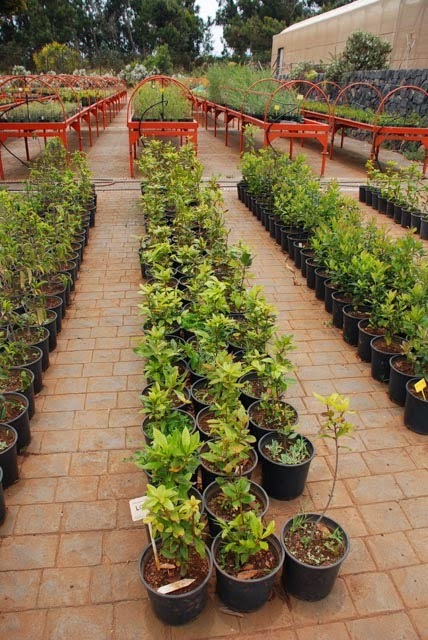 In serried ranks, pots of developing endemic plants are the first thing the visitor sees. 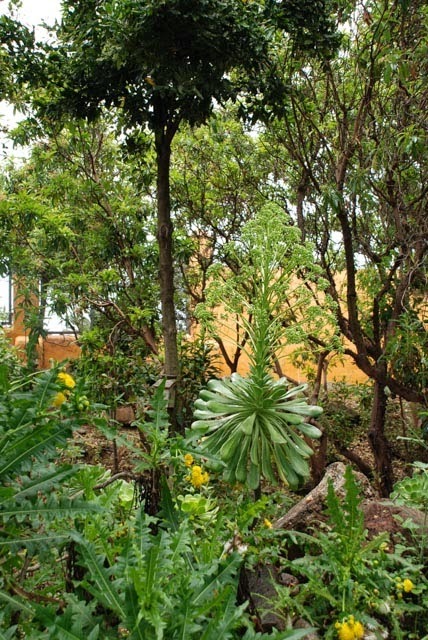 However beyond these, there are some most attractive gardens on steep banks beneath trees where important Canary Island endemic plants can be seen and admired. I was particularly pleased to see members of the genus Lotus, and especially the very beautiful Lotus maculatus. Unfortunately well past its best, a few examples of the Canarian Dragon Lily, Dracunculus canariensis may be seen in flower beds close to the entrance. 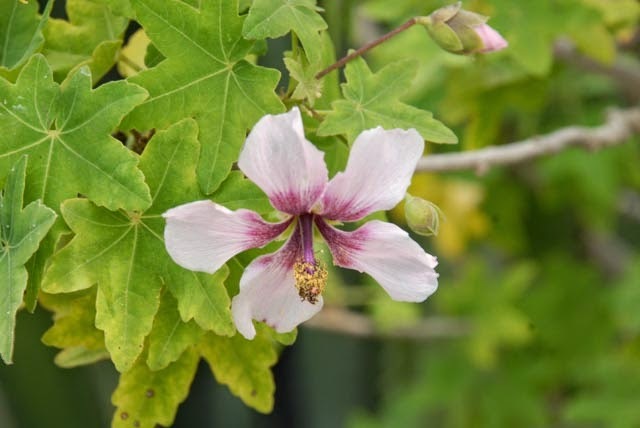 An endemic mallow Lavatera acerifolia near the entrance was another endemic I had never seen before. The Canary Dragon Lily, a bit past its best! The fine terraced gardens at Vilaflor which are home to fabulous displays of the very rare, and endemic Lotus berthelotii have already been mentioned in a previous blog. In the centre of Puerto de la Cruz, there is another series of terraces supporting some fine gardens which include ponds with lotuses in fine condition. 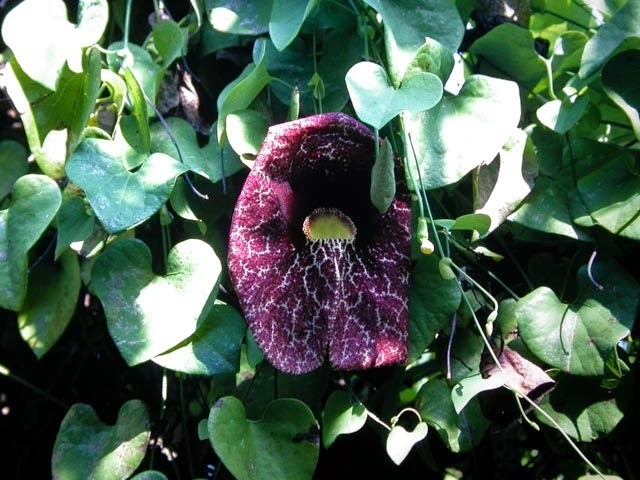 In the past, there were glass houses here, and I took the chance to photograph Aristolochia gigantea which was very impressive.